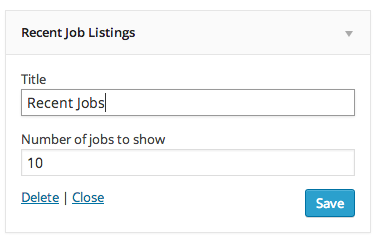 Choose a title for your widget and choose how many jobs you wish to show. 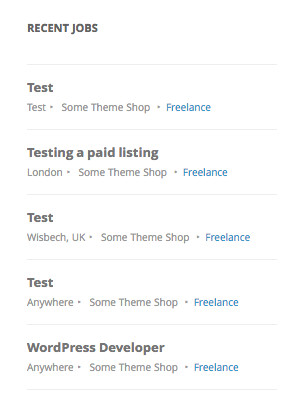 If you want to customise the content of each job listed in the widget, you can use a template override. The content is stored in content-widget-job_listing.php.